Discover the perfect furniture for your new bathroom. Posted By Edward, 26th Apr 2018. 4 Minute Read. An important part of planning a new bathroom is choosing the perfect furniture for your brand new room. Clever choices when picking your bathroom furniture can really help to set the tone and create the look you're searching for. As well as getting the right look, your bathroom furniture also needs to be functional too. There's nothing worse than a beautiful bathroom that’s too full with clutter because there isn't enough storage. This is especially true for smaller bathrooms where space is at a premium. 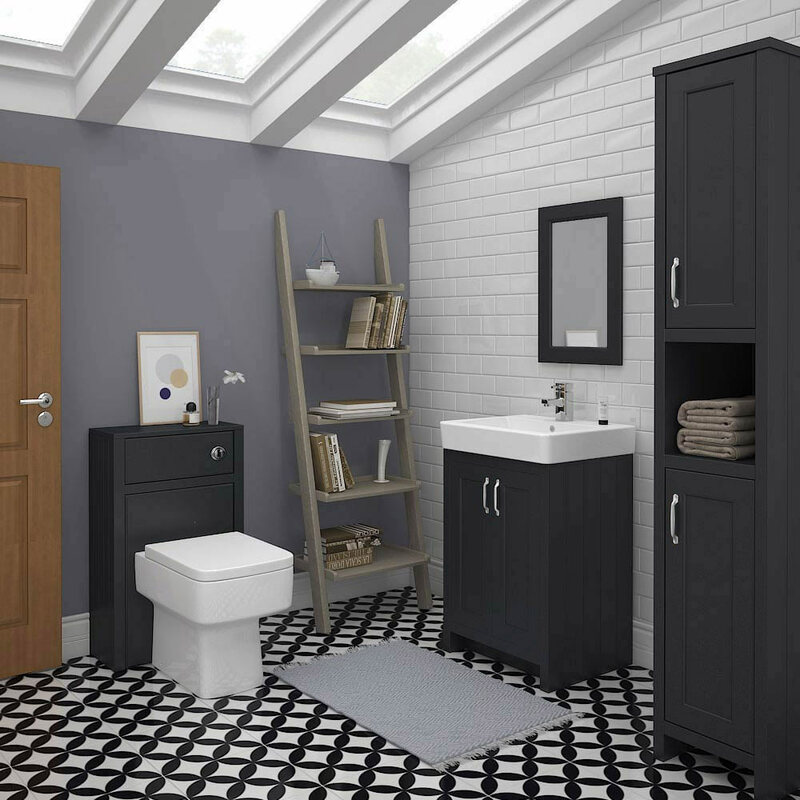 With the abundant choice of furniture that's on the market in the UK today, the team here at Victorian Plumbing have written this expert buying guide to highlight 6 bathroom furniture ideas that could work in any home. 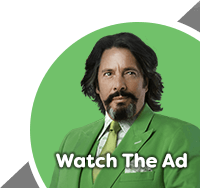 We will bring you up to speed with what's on-trend, what's popular and also give our advice on which products are best for each individual look. This year has seen handle-less bathroom furniture become more popular than ever before. Handle-less designs incorporate the handle into the actual unit itself so giving a streamlined, minimalist appearance. These design features make handle-less furniture perfect for modern or even ultra-modern bathrooms. If you are planning a modern styled bathroom then two handle-less furniture ranges definitely worth taking a look at are the Urban and Ronda ranges. The urban range comes in grey and cashmere colour variations and the 'real wood' Ronda range is available in chestnut and light ash. White bathroom furniture is a look that never goes out of style. If you like the idea that your bathroom won't look dated in a few years time then an all white bathroom design is the way to go. A look that’s proving to be very popular this year is white furniture coupled with white wall tiles and then finished off with a beautiful patterned tile floor. White is the most popular colour when it comes to bathroom furniture so as you can imagine there is a massive amount of choice on the market. The amount of choice can be a little overwhelming so perhaps the best place to start your search is our Nova and Cove furniture ranges. These 'all white' ranges have been two of the most popular collections this year. The colour grey has been a revelation in interior design in the last few years and its popularity looks set to continue for a long time to come. As a result, grey bathroom furniture has become very popular and there is now more furniture available than ever before in this hue. Similar to white, grey bathrooms won't look dated in a few years and another feature to note is that it works well in both contemporary and traditional bathrooms. 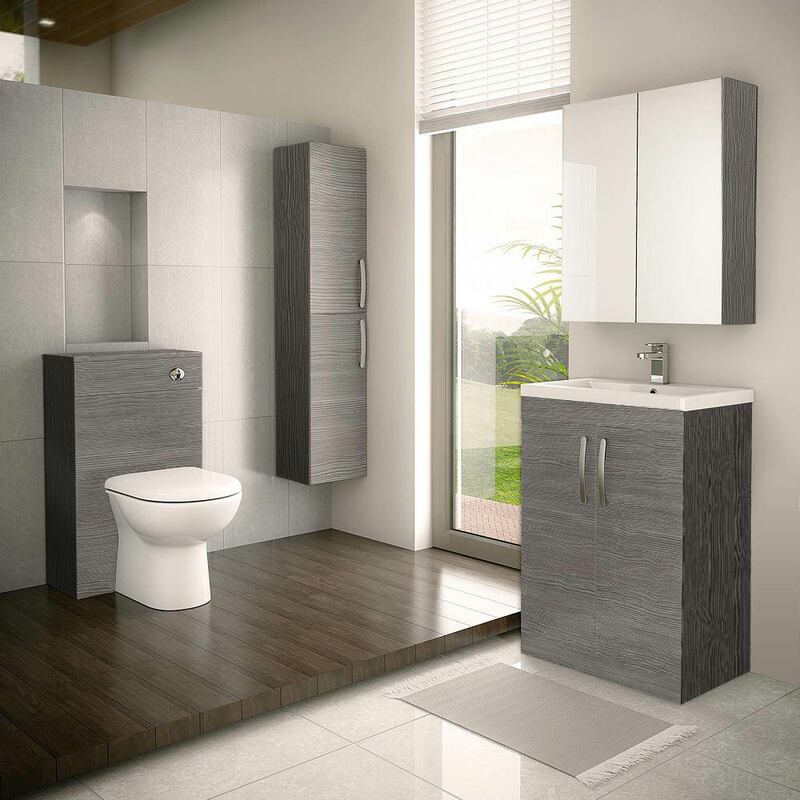 As mentioned above there is plenty of choice when it comes to choosing grey bathroom furniture so take your time and find something that complements your other bathroom fixtures. 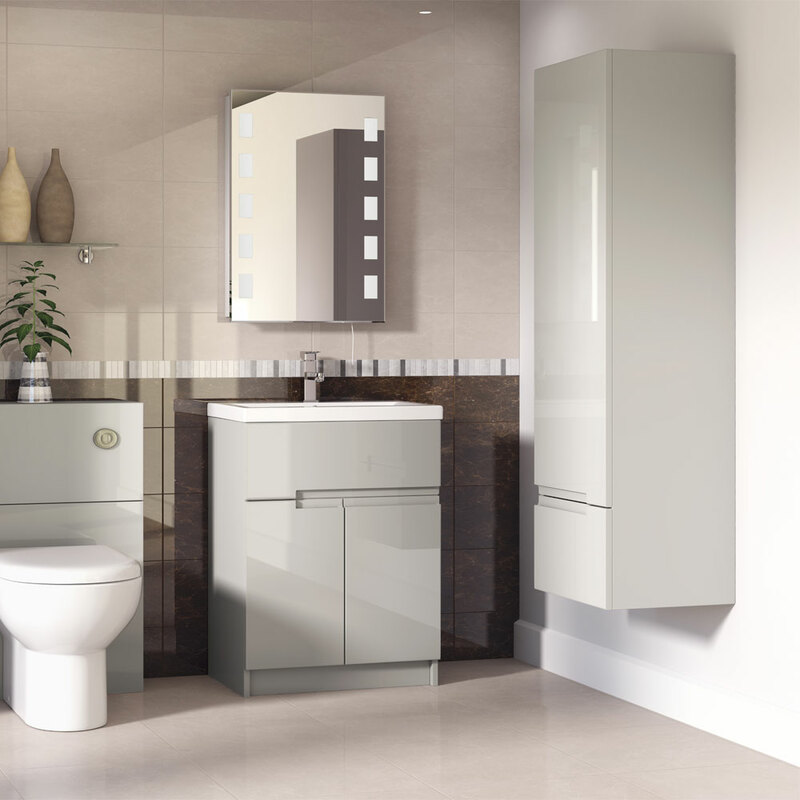 If you are planning a modern bathroom then check out the Apollo high gloss furniture range and if you have your heart set on a traditional design then take a look at the Chatsworth range. Coordinated bathroom furniture is the idea that all your cabinets and units match each other as well as complementing your bathroom as a whole. This coordinated look can certainly take your bathroom design to the next level; adding a professional quality that's pleasing to the eye. The key to achieving this bathroom furniture idea is to search for different units from the same range. If you are struggling to find two or more pieces that match up then consider a furniture collection that has plenty of size and shape variations. One furniture collection that has plenty of choice is the Brooklyn range. 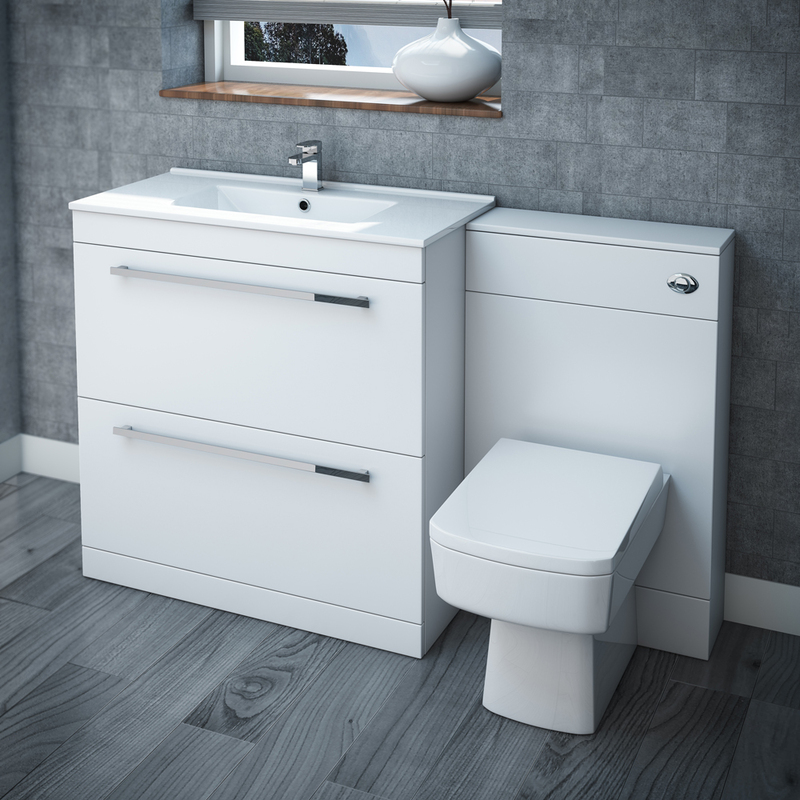 The Brooklyn range includes vanity units, combination units, wall hung furniture and many more in 5 different colour variations. If you're looking to add a touch of luxury to your bathroom then marble counter tops and tiles could be great additions. This majestic material can add a touch of class and sophistication to any bathroom design. Marble can really add the 'wow' factor to your design but remember to use this material sparingly because too much can ruin the simplicity of your bathroom design. Marble counter tops are one of the best ways to include this natural material in your bathroom. One option is to have a large piece of marble cut specifically for your bathroom cabinets however a more cost effective solution is to buy a vanity unit with the marble already fitted on top. 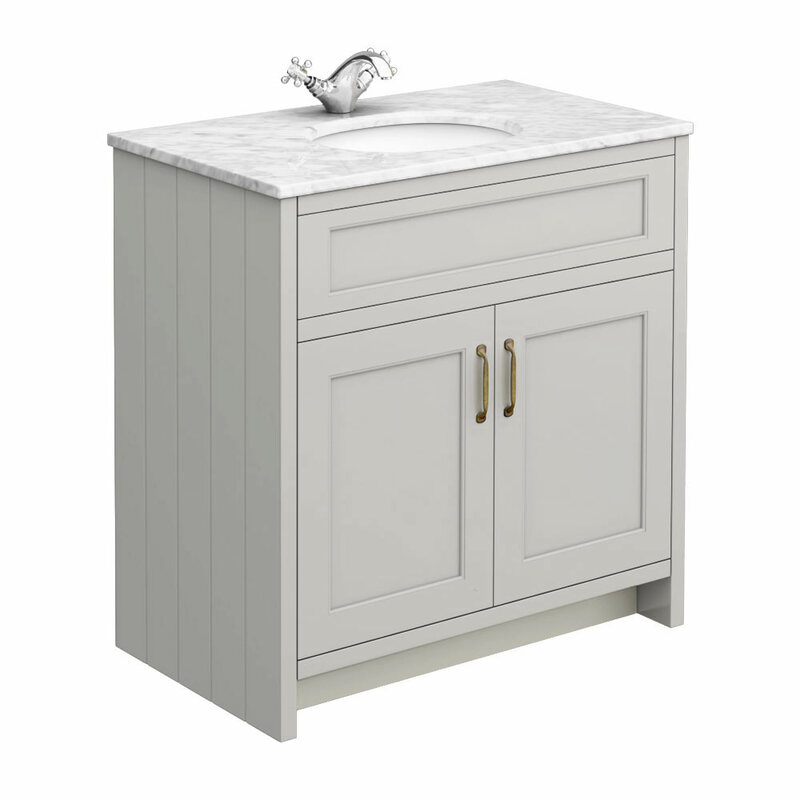 The Chatsworth bathroom furniture range includes a selection of marble topped freestanding vanity units in varying cabinet door colours. 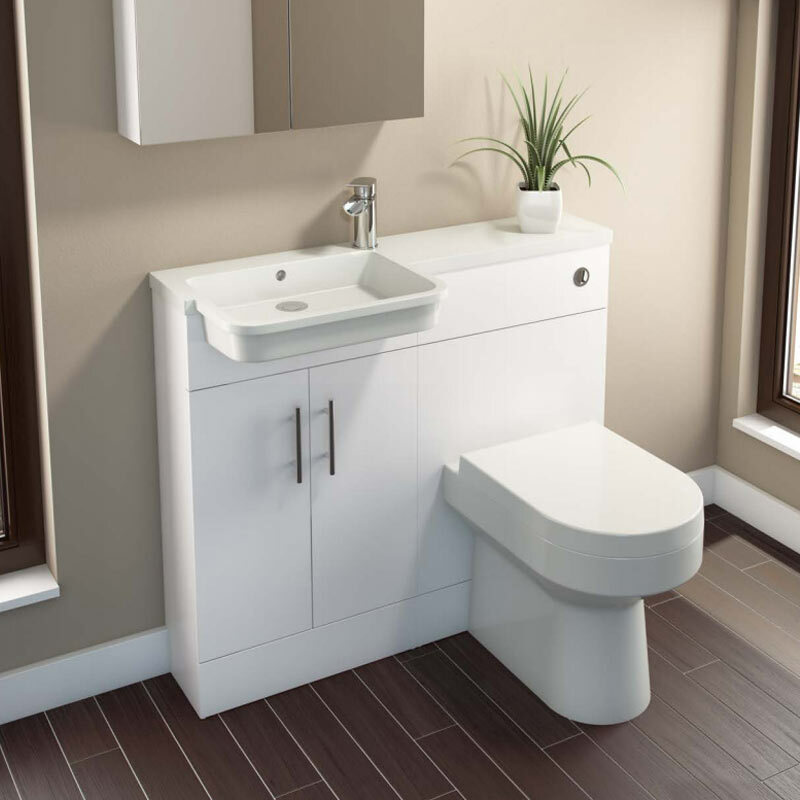 Combination units combine a vanity unit and WC unit into one compact suite. These space saving units are great for smaller bathrooms and en-suites. The WC and vanity units can be placed either side of each other so combination units are also ideal if you have an awkwardly shaped bathroom. There is a huge range of combination units available on the Victorian Plumbing website. These units come in lots of different shapes and sizes and what you will also find is that many furniture ranges have a combination unit variation. This is perfect if you're looking to match up a combination unit with a mirrored cabinet or even a bath panel. Hopefully these bathroom furniture ideas have left you heading in the right direction with your own bathroom design. If you have enjoyed this article then why not head over to the Victorian Plumbing Facebook, Pinterest and Instagram pages to discover more bathroom ideas and tips. Thanks for reading and good luck with your new bathroom.